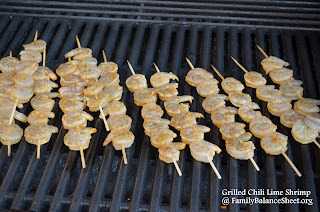 I hope you enjoy this week’s recipe: Chili Lime Grilled Shrimp. It was voted 2 thumbs up by my family. 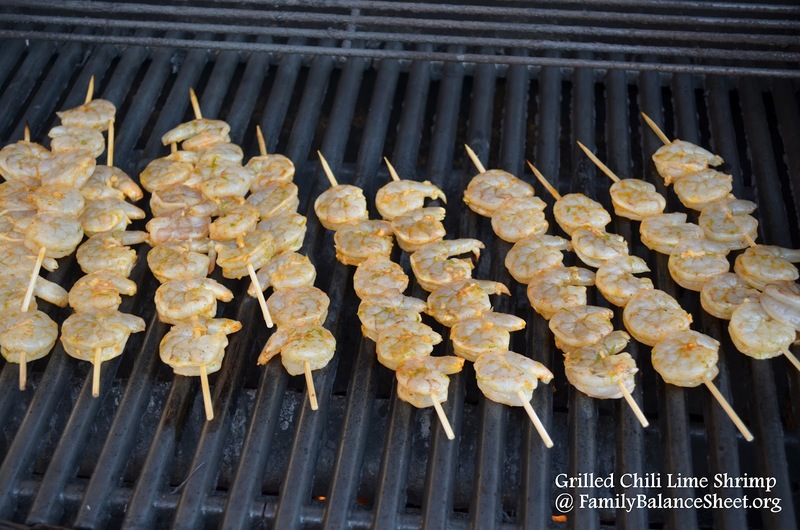 My husband called it, “restaurant quality.” So, if you’re looking for a delicious recipe for Father’s Day, a graduation celebration, or you just want to serve a new dish to your family, Chili Lime Grilled Shrimp will not disappoint. 1. In a large bowl, mix together the first 4 ingredients. 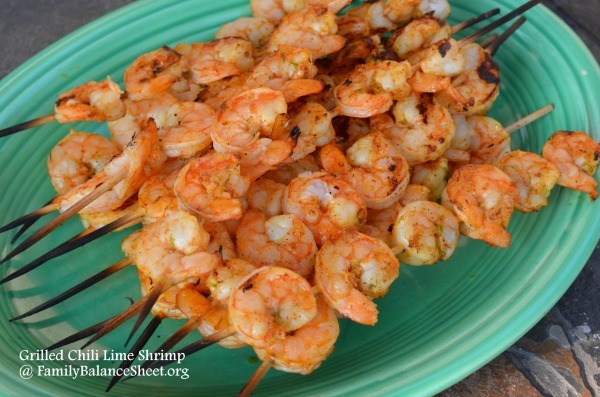 Stir in the shrimp and coat completely. Marinate in the refrigerator for 30 minutes. 2. While the shrimp is marinating, soak the bamboo skewers in water for 15-20 minutes. 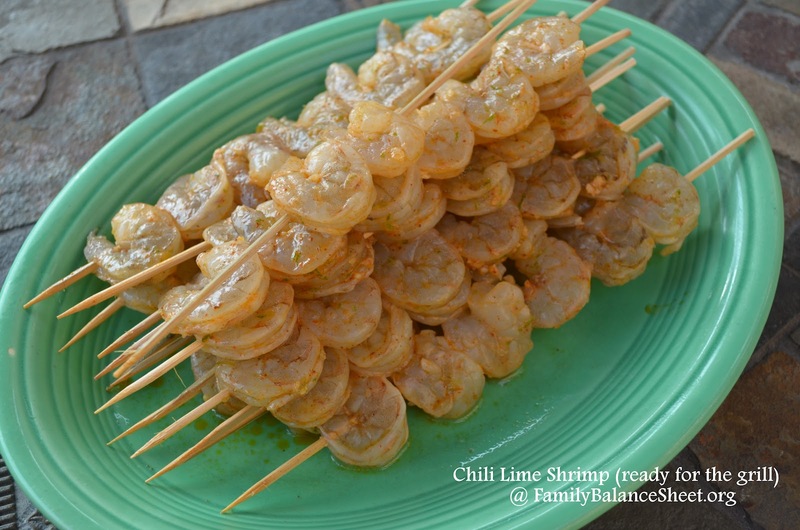 Print recipe for Grilled Chili Lime Shrimp. I can’t see the linky – is it just me?